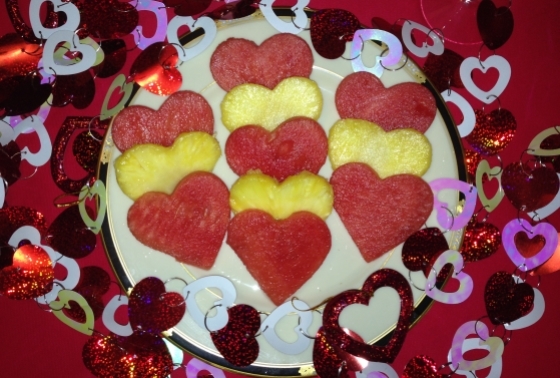 Ingredients: watermelon (may use other melons too),pineapple. 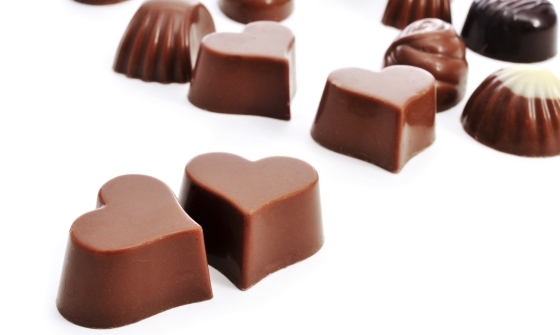 Ingredients: 2 TBSP unsweetened cocoa, 1/8 tsp salt, 1 tsp xanthan gum, 8 oz water, 1/4 cup Truvia, 1/2 tsp vanilla, PAM or other zero-calorie cooking spray. 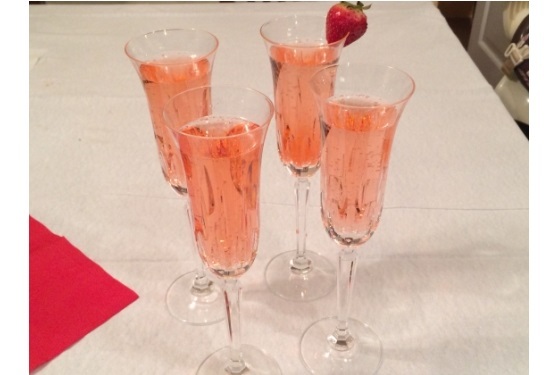 Ingredients: 1 squeeze Crystal Light Liquid peach bellini, 8 oz chilled sparkling water. 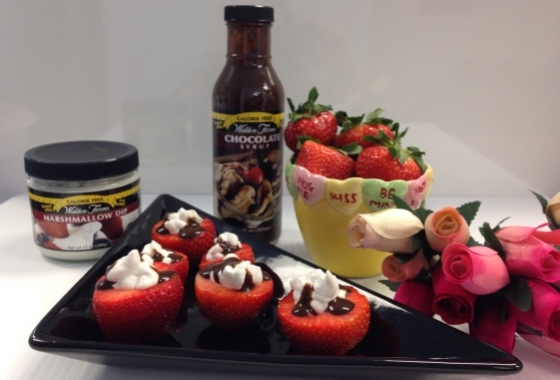 Ingredients: 1 cup strawberries, Walden Farms chocolate syrup, Walden Farms marshmallow dip. 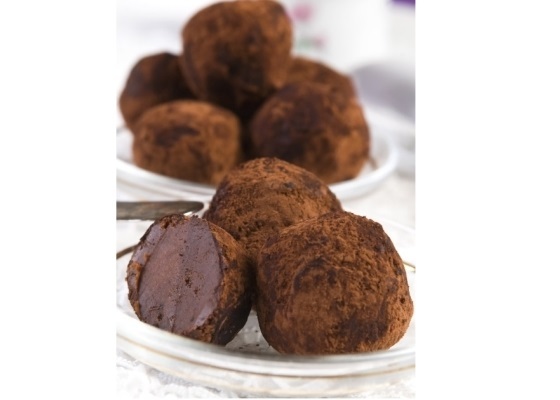 Ingredients: 6 medjool dates, 2 TBSP unsweetened baking cocoa, 1/4 tsp pure vanilla extract, a pinch of Kosher or sea salt, 1 TBSP warm water. 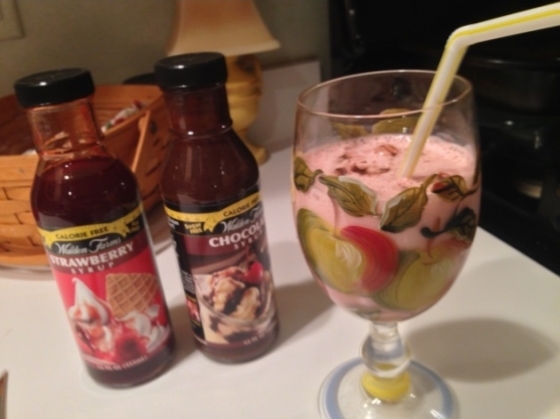 Ingredients: 6 oz whole milk, 1 oz Walden Farms strawberry syrup, ½ oz Walden Farms chocolate syrup, ice (to top of cup), pinch of xanthan gum (optional). 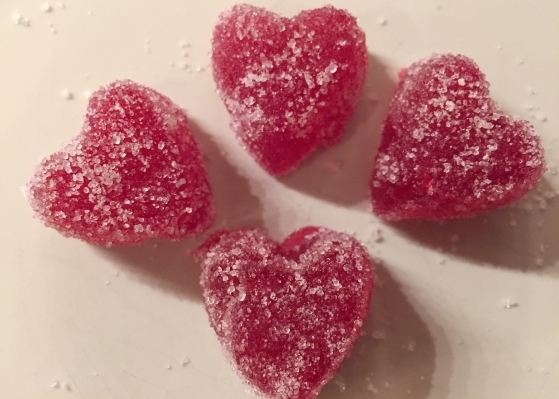 Ingredients: “Homemade Gummi Candy”, Truvia or other zero-calorie sweetener. More recipe ideas may be found here.